<< Do you want to change the future of a child’s life? 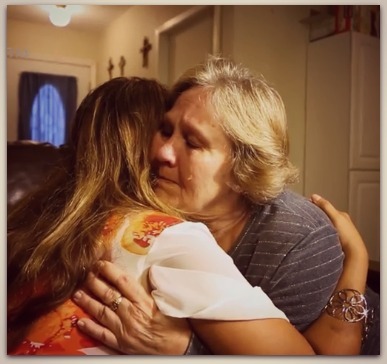 Your gift transforms people like Cathy. Like an angel, Cathy, a 62-year old single woman, took in her three grandsons with special needs. She struggled to make ends meet on a fixed income. Burdened by serious health issues, loneliness, and grief from the loss of her husband, Cathy found herself lost, with a heavy heart and a weakened faith. She came to Hill Country Daily Bread Ministries in need of food and essential resources. She was soon matched with a mentor, through the Family Mentoring Resource Program, that delivered not only food and supplies to her home but also offered prayer, guidance and encouragement. Cathy now lives a happier and healthier life that is grounded in faith. Donate Today to support The Big Give 2017.